What Should I Do If My Dog Swallowed Chewing Gum? It’s common for dogs to try to eat things that they shouldn’t. Whether it’s something off the road or something off your plate, they often aren’t picky about what they put in their mouths. So, it’s not a surprise to find out that a dog has swallowed chewing gum. You’ve probably heard that certain substances can be harmful to dogs if ingested. The list includes an ingredient called Xylitol, which is often found in sugar-free chewing gum. Important: If your dog swallowed sugar-free gum, take them to the vet right away! If your dog ate gum off the floor and you have reason to believe that it was sugar-free, you shouldn’t wait to get your pet checked out. But, if you’re not sure, keep reading to find out more about the symptoms they will likely experience. 1 What Should I Do if My Dog Eats Chewing Gum? 1.1 Are All Types of Gum Dangerous for Dogs? 1.2 What Brands of Chewing Gum Contain Xylitol? 1.3 What Are the Symptoms of Xylitol Poisoning in Dogs? 1.3.1 What Factors Should be Considered? 1.3.2 What Treatment Will a Vet Give for Xylitol Poisoning? 1.3.3 Can I Treat Poisoning from Gum at Home? 1.3.4 What Other Foods Contain Xylitol? 1.5 What Healthy Sweets Can My Dog Eat Safely? What Should I Do if My Dog Eats Chewing Gum? This is an in-depth guide to the steps you should take if your dog eats chewing gum. We’ll cover the warning signs you should look out for after your dog ingests gum, and how to respond to those symptoms. Are All Types of Gum Dangerous for Dogs? Sugar-free chewing gum should never be eaten by dogs, due to the ingredient Xylitol. According to VCA Hospitals, it is extremely toxic to dogs. It comes from plants and trees, so you might think it’d be safe. But, even a small amount can poisonous! Why is xylitol so bad? It’s a sugar alcohol that quickly gets absorbed into your dog’s bloodstream. This causes blood sugar levels to skyrocket to the point where they can become fatal. Insulin enters the bloodstream and needs to be balanced out right away. If treatment isn’t immediately sought out, it can also quickly cause damage to the liver. If the blood sugar levels don’t harm your dog, the liver damage most certainly will. Regular gum isn’t much of a danger for dogs. But, if they consume large amount, it can cause some intestinal issues. If you have a small dog, it could even lead to a blockage in the intestine. But, the sugars used in traditional gum aren’t considered toxic to dogs. Most dogs will pass it easily, but it’s still a good idea to keep an eye on your dog for a day or two to make sure they aren’t showing any symptoms of illness. There are hundreds of brands of gum and candies that use xylitol as a sweetener. Some of them are even labeled as ‘all-natural,’ so you might think they’re safe. But, remember that xylitol technically is a natural ingredient! It’s still poisonous for dogs and should never be given to a dog even if other ingredients in a product are safe. Again, chewing gum isn’t the only product that contains xylitol. Many products we eat on a regular basis use it as a sweetener. So, whenever your dog gets into something edible, make sure to check the ingredient list! Other types of sugars aren’t necessarily good for your dog either, but xylitol is the one to be concerned about. If you’re not sure what kind of gum your dog ate, specific symptoms can go along with xylitol poisoning. Keep in mind that it’s essential to get your dog to the vet as soon as possible if they’ve ingested something with xylitol. Signs you may not notice may be happening internally, such as liver failure and internal bleeding. If you let any of these symptoms go for too long, it can result in extreme sickness. As hard as it is to suggest, it can even lead to death. Most symptoms will start to show up anywhere from 30-60 minutes after your dog ingests the gum. If your dog ate xylitol with no signs, don’t let them out of your sight just yet! You might wonder ‘is my dog okay if he’s acting fine?’ The answer, unfortunately, is no. In some cases, symptoms can manifest themselves many hours later. They can start to show up even up to 12 hours later. Keep an eye on your dog for a day or two. If even the smallest sign or symptom shows up, it’s a good idea to get them to a vet quickly. If your dog ingests even a small amount of sugar-free gum, you should take them to the vet. 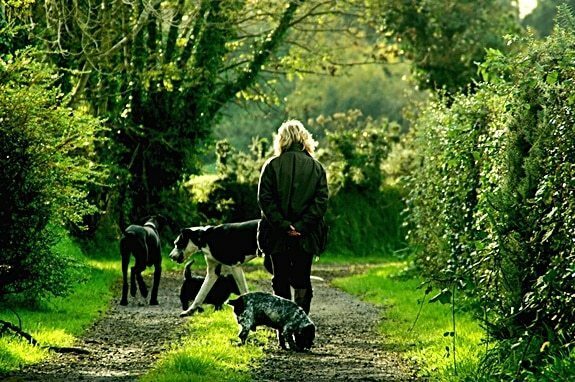 As long as you do so quickly, most dogs can make a full recovery from this kind of poisoning. The level of severity of xylitol poisoning can come from several different factors. Your dog’s size: Smaller dogs don’t need to ingest as much gum as larger dogs for it to be fatal. Only a small amount can cause them to become sick. This doesn’t mean larger dogs are safe to eat small amounts. But, they may be able to recover faster. The amount of gum consumed: It doesn’t take much of this ingredient to cause significant problems. But, the more xylitol your dog ingests, the harder it can be to recover fully. Your dog’s health: If your dog is older or has a medical condition, the effects of xylitol may hit them even harder. This is especially true if your dog has a pre-existing liver condition. Be sure to talk to your vet about any other medical conditions affecting your dog. Used gum: It may be to their benefit to gobble up a piece of gum that’s already been chewed. Chances are, most of the xylitol has been washed away through saliva, etc. It still could be dangerous and warrant a trip to the vet, but the risk has likely been reduced. What Treatment Will a Vet Give for Xylitol Poisoning? It’s understandable that you might be scared or panicked, especially since xylitol poisoning can be so dangerous. So, knowing what you can expect from the vet may help to calm your nerves. Stay calm for your dog’s sake, and trust the vet to do his job. Be sure to tell your vet that your dog ate chewing gum. Because of the urgency of this problem, it’s unlikely the vet will run extra tests at that moment. They’ll want to start treating the dog right away, instead. Your dog’s blood sugar levels will be closely monitored, and the vet will do what they can to get them back to normal. The vet may try to induce vomiting. This will help to get the xylitol out of their system quickly. In severe cases, your dog may need to go to an animal hospital to be hooked up to an IV. This usually only happens if they are already experiencing severe symptoms or they don’t vomit. Some vets may want to give your dog activated charcoal. Charcoal helps to bind up poisons within the body, so they don’t spread. Unfortunately, it doesn’t bind as well to xylitol. The main risk in giving charcoal, though, is vomiting. So, it likely won’t hurt your dog if your vet wants to perform this procedure. It may even help to induce more vomiting which can get the poison out faster. 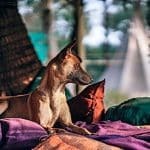 Once your dog is stable, don’t necessarily expect them to go home right away. Remember, xylitol can damage the liver. This can take some time to recognize. Your vet might want to keep your dog in to check their liver and make sure there is no long-term damage. Can I Treat Poisoning from Gum at Home? If you’re not near a vet or you feel there is no time to waste in getting your dog there, there are things you can do at home to help your dog if they’ve ingested gum. In most cases, your vet will suggest that you try to induce vomiting. According to PetMD, this can be done with hydrogen peroxide. Choose one that is 3% hydrogen peroxide and give your dog 1 milliliter per pound of body weight. If you can successfully get your dog to vomit, there’s a good chance some of the xylitol will get out of their system. But, that doesn’t mean they’re safe yet. Once some of the symptoms have lessened, you should still take your dog in to have their blood sugar levels monitored. What Other Foods Contain Xylitol? Now that you know specific brands of chewing gum aren’t safe for dogs, it’s also vital to understand which other foods often contain xylitol. Keeping them away from your furry friend is necessary for their health and safety. Some of the things we eat every single day with no problems could be fatal if ingested by your dog. Certain kinds of toothpaste and mouthwashes can also contain this harmful ingredient. If there’s any chance your dog could get hold of a particular food or product, make sure you read the ingredients carefully. All types of sugar can cause some issues for your dog. But, if you see the word ‘xylitol,’ keep the product away from your pet at all costs. Making an emergency trip to the vet is a stressful situation for everyone. On top of that, the vet bill could end up being hundreds (or even thousands) of dollars, depending on how long your dog needs to stay. It’s much easier to prevent xylitol poisoning than to treat it. The best way to do this is to recognize ingredients in products and foods you use every day. 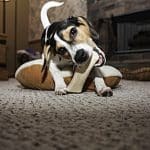 When it comes to chewing gum, though, there are things you can do to lower the chances of your dog ingesting some and putting themselves at risk for poisoning. 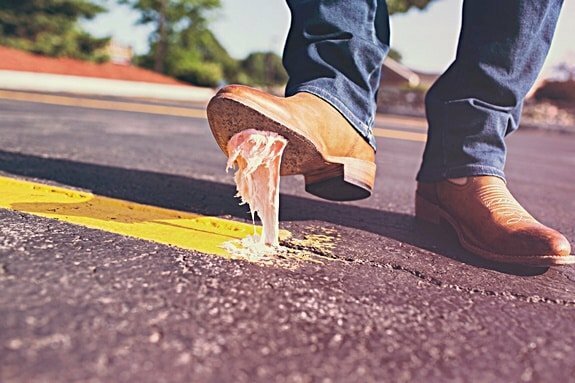 Discard your gum properly: When you’re done chewing gum, make sure to throw it away in a trash bin. If you have a dog in the house, don’t leave it anywhere near the top of the bin. Try wrapping the gum in a small piece of paper and burying it underneath something else in the trash. Keep your eyes open during walks: Sometimes, your dog can ingest gum through no fault of your own. People tend to toss their chewed gum all over the place, including the street. If you’re on a walk with your dog, be mindful of what’s on the streets and sidewalks. Dogs will be attracted to the smell, so if you see gum on the road, walk around it and keep your dog from licking or eating it. Make the switch: People chew sugar-free gum for different reasons. If you chew it for health reasons, you may not want to switch to regular gum. But, if you don’t have a real preference and are just looking for something to freshen your breath, make the switch to regular gum. It’ll automatically lower your dog’s risk of ingesting xylitol. Keep your gum stashed away: People store gum in many different places. Think about where your pack of sugar-free gum might be right now. Your purse? Your back pocket? On top of the kitchen counter? If your dog can get to these places easily, reconsider where you keep your gum. Try storing it in a drawer or your car, or anywhere else where your dog won’t have easy access. By using these tips, you can protect your dog from poisoning and avoid a hefty vet bill in the process. What Healthy Sweets Can My Dog Eat Safely? Ideally, dogs should stick to a diet based on their own specific food. Kibble and canned dog food are specially-formulated to give dogs the nutrition they need. But, if your dog has ever looked at what you’re eating with longing eyes, you know it’s hard not to give in sometimes! Giving your dog ‘human food’ every once in a while shouldn’t hurt them, as long as you know the ingredients in that food aren’t poisonous. If you’ve found that your dog has a bit of a sweet tooth, there are many alternatives you can safely give them. These alternatives won’t put your dog at risk of poisoning from artificial sweeteners. Sweeter vegetables like carrots or sweet potatoes are great options in small quantities. Make sure they’re chopped into small bites so your dog can eat and digest them easily. Fruits that are filled with natural sugars are a good option. But, not all fruits are safe for dogs. Apples, berries, and bananas are fine options that will curb your dog’s sweet tooth. Avoid giving your dog grapes or raisins. If you’re on the go, a bag of dried apples or banana chips can make a tasty, crunchy snack for your dog! Just be sure not to give them too much, as it can cause their sugar to spike. Fruits like bananas also tend to have more calories. All-natural yogurt with no artificial sweeteners added can be a great, refreshing treat for your dog. Yogurt contains calcium and bacteria that can help your dog’s digestive system. Because many pets want to enjoy something sweet and owners want to reward them, different commercial treats have been made. Everything from ‘sweet’ cookies to dog ice cream can be found in pet stores. Be sure to read the ingredients and make sure you’re comfortable giving them to your dog. Treats like this should also be offered in moderation since they can be high in calories. You don’t have to deprive your dog of a special treat now and then. It’s just a matter of knowing the ingredients and how they might affect your dog in the long run. It’s natural for dogs to be curious about what you’re eating. So, if you know something is safe for them, it’s okay to let them indulge once in a while. We hope this guide has given you some insight on the dangers of swallowing chewing gum for dogs. You should never give your dog gum of any kind. Sugar-free gum can be fatal, due to xylitol. While regular gum may not cause as much harm, it can still create intestinal problems for your dog. For these reasons, you should never offer your pooch gum as a treat. If your dog happens to ingest gum on accident, taking the proper precautions is essential. If xylitol poisoning isn’t treated right away, it could lead to serious health issues and even death.